So I don't know if going down memory lane is more cringe-worthy than it is heartfelt but Top Ten Tuesday is all about looking back at the very first book reviews I've ever written. I wrote a couple reviews before starting the blog. As those book reviews are lost or buried in a notebook somewhere, I figured I would just share the first ten reviews shared on this blog. Though, fun fact: it was my handwritten review of Perfect Chemistry by Simone Elkeles that made me want to start a book blog in the first place. Radiant Shadows by Melissa Marr: This novel's fast-paced flow will keep you on your toes. I couldn't put it down. Echoes by Melinda Metz: This book left me with a lot of questions, which I'm sure will be answered later on in the series. Not That Kind of Girl by Siobhan Vivian: It was surely a cute story that captured my attention with the cover and held my attention with a great story, adorable characters, and fast-paced scenes that kept me wanting more. Dark Flame by Alyson Noel: There are so many questions on what is going to happen- how is Alyson Noel going to wrap all this up? Mockingjay by Suzanne Collins: This was the book that I had been waiting for, ever since I read the first in the series, The Hunger Games. I knew the book was going to be amazing. Suzanne Collins never disappoints. Paranormalcy by Kiersten White: Instead of the young adult novel standards of having at least one curse word in the mix- there was none, to replace that White added "bleep" where any were needed. That case gave it such a humorous twist that I can't wait until the second just to laugh along with Evie again. Matched by Ally Condie: The flow of the novel went very slow for me and I found myself, on numerous times, dozing off or picking up other books to read because I just could not pick up Matched. Clockwork Angel by Cassandra Clare: I am in love with this book. 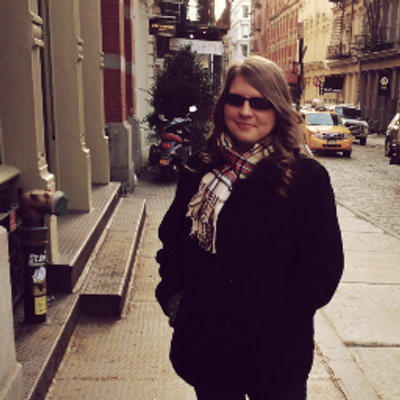 Cassandra Clare's style was, from the first page of the the book, what brought me into that world of hers. There is nonstop action and, at times, it is hard to catch your breath. It is like a blockbuster movie in print. Eat Pray Love by Elizabeth Gilbert: This book makes me want to travel the world. I loved this book that much! It makes me inspired to do something, anything! I loved it! A Fine Balance by Rohinton Mistry: There is no putting down this book. This book will change your opinion of the world. If you haven't read this novel, you are truly missing out on a lovely read. What were some of your first book reviews? 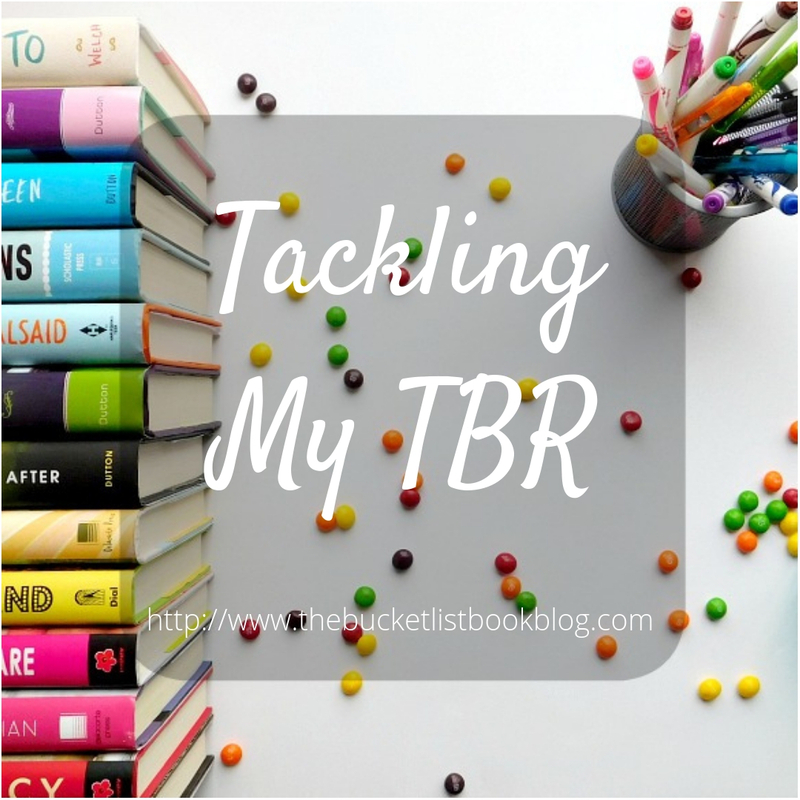 Tackling My TBR is a monthly post, where I share my reading plans for the upcoming month. The concept of a TBR Jar is not a new one. I’ve seen it used in various ways throughout the bookish community. My jar will be a little different. The goal is to read the older books on my to-read pile. Thus, instead of putting individual book titles on a small sheet of paper to place in the jar, I wrote a month and a year on each. Each month, I intend to pull three sheets of paper from my jar which will dictate which three books I will read. The dates on the paper correspond with the date I added those books to my Goodreads. Some months will have over 20 books to choose from, when others may have only one. 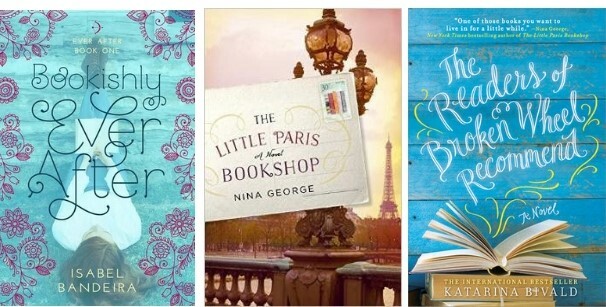 From Goodreads, I’ll choose the three books from the three different monthly hauls. And if I cannot complete the book within the month, it will be unhauled. In March, I tackled books from my October 2017, June 2016, and July 2012 book hauls. I am ecstatic that I finally picked up Shadow and Bone by Leigh Bardugo. It was a great book and I’m looking forward to reading the sequel. I’m currently reading Bite Club by Rachel Caine. As much as the series is so long, there is never a dull moment with these books, always entertaining. And in the end, I decided to unhaul Gilt by Katherine Longshore. I am very picky about the historical books I read and Gilt didn’t sound like something I would enjoy now. The Fandom by Anna Day: This book sounds absolutely epic. It’s strange that I haven’t picked it up until now. A group of fans meet at a fan convention and discover a portal that leaves them stuck in the fandom they so adore. However, with their presence, they begin to change the timeline—and they may have accidentally killed the fandom’s protagonist. 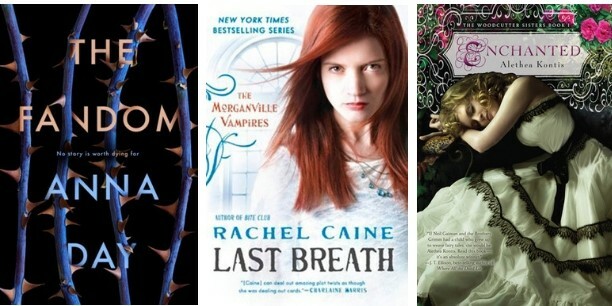 Last Breath by Rachel Caine: I’m excited that another Morganville Vampire series book was chosen this month. I’m slowly working my way through the series. It’s a good series, there’s just so many books in it. Last Breath is book 11 in the series. Enchanted by Alethea Kontis: I adore cute fairytale retellings during the spring. Enchanted is a retelling of The Princess and the Frog. The Last Voyage of Poe Blythe by Ally Condie (4 stars): I was hesitant going into this as I didn’t like Matched. However, I liked The Darkdeep, the middle grade Condie wrote with Brendan Reichs. The Last Voyage turned out to be an amazing exploration of grief and revenge with sprinkles of dystopia thrown in as well. Nevermore by James Patterson (2 stars): This was meant to be the conclusion to the Maximum Ride series. It was marketed as such—as I have a big “RIP Maximum Ride” sticker on my cover. I would have gladly left the series at that. However, as I own the next book already, I guess I will be continuing. But the series has gotten way too repetitive and messy. The Sky is Everywhere by Jandy Nelson (2 stars): I didn’t know what this was about before going in. Knowing now, I probably would have never picked it up. I haven’t read anything by Nelson before and I don’t think I’ll be reading anything by her again. I understand the examination of grief in this and can appreciate the flowery writing but the book just wasn’t for me. French Exit by Patrick deWitt (2 stars): I thought I knew what this was about going in: a rich duo escapes a scandal in the States and moves to France. And I wasn’t prepared for how weird it got. It was a parody of the wealthy, if I’ve ever seen it. And it was executed poorly. Elsewhere by Gabrielle Zevin (3 stars): I’ve never read anything by Zevin but this premise was so wild not to pass up. When a young teen is killed in a bicycle accident, she goes to Elsewhere, where she must age backwards until she is a baby to return again to Earth. It is an amazing idea. However, I didn’t connect with the characters and the romance turned out to be bittersweet. I’m looking forward to reading more from Zevin in the future but this one was just okay. Meet Cute by various authors (3 stars): There were some stories I loved and then some that I didn’t love at all. As much as the book is titled Meet Cute, I felt like a lot of stories had zero meet cutes. With my high expectations going in for this to be the cutest anthology ever, it fell short tremendously. 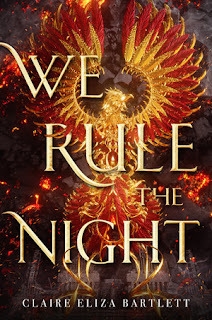 We Rule the Night by Claire Eliza Bartlett (4 stars): This has such an intriguing premise: two unlikely girls pair up in order to win a war using illegal magic. The comradery was built so well and the worldbuilding was absolutely gorgeous. I hope we are getting a sequel, companion, anything to just stay in the world a little longer. Where the Crawdads Sing by Delia Owens (3.5 stars): Another book that I thought was one thing and then turned out to be another: going in, I thought this was a thriller. And as much as I don’t usually read thrillers, the synopsis intrigued me. Yet, instead of giving me a thriller, it was a coming of age story about a young girl who lives in a marsh. There were many scenes that lagged for me but the ending was pure gold! It left me with so many questions. Dodger by Terry Pratchett (3 stars): I went into this thinking it was an Oliver Twist retelling in Dodger’s point of view. It may have been about Dodger but it turned out to be a little ridiculous. Sweeny Todd was present and even Charles Dickens himself. I was a bit confused at the point of it all. The Boy Who Drew Monsters by Keith Donohue (3.5 stars): It started out so spooky and then it got repetitive and a bit dull. Most of the characters were flat. Though, the ending was a page-turner and completely unpredictable. Meet Cute by Helena Hunting (4/9/19): Meet cute with best friends who lose touch. Now it’s eight years later and he comes barging into her life again. It sounds like it could be a cute one. The Princess and the Fangirl by Ashley Poston (4/2/19): I am so here for the companion novel to Geekerella. I’m hoping for some cameos of the two leads from the last book. Serious Moonlight by Jenn Bennett (4/16/19): I’ve never read anything by Bennett and I think it’s about time. I’ve read some amazing early reviews for this. And since it’s finally spring, I’m looking for some amazing contemporaries. I didn’t start any new shows this month. However, with the release of Captain Marvel, it jumpstarted my marathon of watching all the Marvel movies in chronological order for the upcoming release of Avengers: Endgame. Captain Marvel was a lot of fun too and it’ll be exciting to see what Brie Larson brings to the Avengers. The show, 9-1-1, finally came back after the longest break mid-season. That show is as stressful as it is entertaining to watch. How was your March? What books did you read? Did you watch any amazing shows/movies? Whenever I step into a bookstore, I always return to my favorite sections (the YA section and the clearance section, of course). I peer at all the books on the shelves and a lot of them I've heard of before. 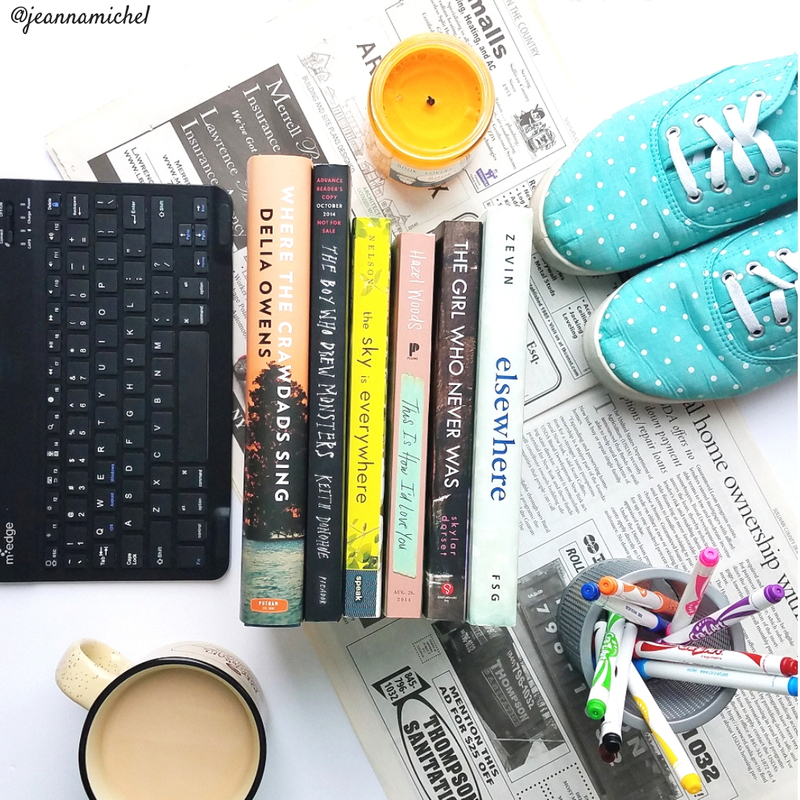 With booktube, book blogs, and bookstagram, I hear about new books quite often. However, just because I've heard about them doesn't make me immediately pick them up. Revna, a traitor’s daughter, keeps her head down at the factory that she works at. When a bomb lands in her hometown, she escapes death using illegal magic. The only problem: she was caught using it. Linné, a general’s daughter, disguises herself as a man to join the military to fight for the Union. It isn’t soon after that, she is caught. The two women join the 146th Night Raiders, a female-only regiment, that intend to use magic to help win the war against the Elda. With their clashing personalities, Revna and Linné must learn to work together. Their very lives depend on it. Claire Eliza Bartlett builds a stunning debut, leaving readers wanting more. The intriguing premise of an all-female crew of militants using illegal magic to help end the war sounded absolutely fantastic! It also opens up to several reflections of women in the military and how they're treated. Despite the fantasy backdrop, the discussion on sexism can easily reflect our own society, and even some of our own experiences. The book opens right in the middle of a raging war. It was such an easy and visual way to be introduced to our two female leads. Revna finds herself under a bomb threat at the factory she works for. While Linné is being called into the colonel’s office for disguising herself as a man all this time. From these introductions, the back stories of both characters are immediately intriguing. 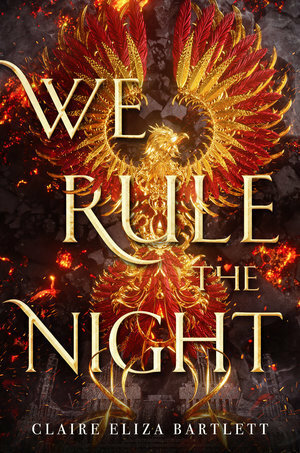 We Rule the Night quickly becomes a page turner of epic proportions. We Rule the Night follows the 146th Night Raiders, a group of amazing woman intent on flying planes run on magic to win the war. The regiment is filled with such a large cast, it's difficult to remember every name. The two leads are easy enough to remember: Revna and Linné. However, as much as readers get a few scenes filled with the large cast, there isn't much description to help remember each character in the book. Revna may have leg prosthetics but she doesn’t let that stop her fighting for the Union. When she falls, she gets back up. She is strong, intelligent, and brave—even if she doesn’t think so at first. Linné is immediately judged by the woman of her new regiment for her connections in the army and being her father’s daughter, a general’s daughter. It also doesn’t help that she acts as if superior and more-knowing than the other girls. However, a lot of the assumptions and fast judgments made by the girls were rather unfair as no one tried to break through Linné’s barrier to get to know her. Out of all the characters, Linné is the most realistic, most complex. Despite getting a bad reputation from the other characters, I quite liked her. I got some major steampunk vibes from We Rule the Night. YA has a sparse landscape of steampunk novels so I was stoked to find elements of it in this one. The book is set during wartime. There are planes made from living metal, which has a mind of its own. The pilot and navigator connect to the plane, becoming one mind. The concept was enthralling to behold. The friendship between Linné and Revna, once forced, becomes complicated and deep, intertwining with their clashing personalities. The war brings out the worst, and the best, of the two. In order to make their plane fly, they must connect their minds to the living metal which forces them to connect to each other on a different level. Through the book, readers witness the wonders of a friendship take root between Revna and Linné. The world building is constructed beautifully. The superb writing folds the world right into the seams of the story. There is a minimal info dumping which is always the best way to introduce a new world. The ending wasn’t exactly what I wanted. It was realistic. Yet, after the exhilaration of the climax, the ending was a bit disappointing. Under my disappointment was a smile, however, in what the two amazing female leads had accomplished. I couldn’t help wanting more though. Bartlett opens readers’ eyes to this whole new world that is as fierce and deadly as it is gorgeous and intriguing. The story is a wild ride that straps you in and refuses to let go. Bartlett created a superb world that I hope to visit again. We Rule the Night was a riveting narrative of complex relationships, shocking action sequences, and an on-the-edge-of-your-seat story.